This should be interesting. I have had great fun researching and writing this tour, and I hope it will be well received. The perfect antidote to the frustrating and tantalising 'locked doors' we all encounter when visiting historic houses. Discover many of the un-restored and rarely viewed aspects of the House, grounds and outbuildings. 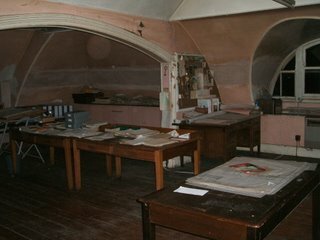 You will explore the servant's sleeping quarters, cellars, children's nursery, stable block and much more - a rare treat. The tour finishes in the Old Brewhouse, originally used for brewing the estate beer, where afternoon tea will be served. Tours run at 1pm and 3pm, all tickets must be booked in advance by telephoning (01633) 815880.